There are other reasons, of course, but these are the most common. On this page, we’ll tell you what you need to know about individual and family health insurance coverage. We’ll discuss the types of health plans, the requirement to have health insurance, financial assistance that may be available, and the various options you should consider based on your specific situation. If you have any questions or need assistance purchasing a health insurance plan, please give us a call at 972.245.0266 – we’re happy to help. 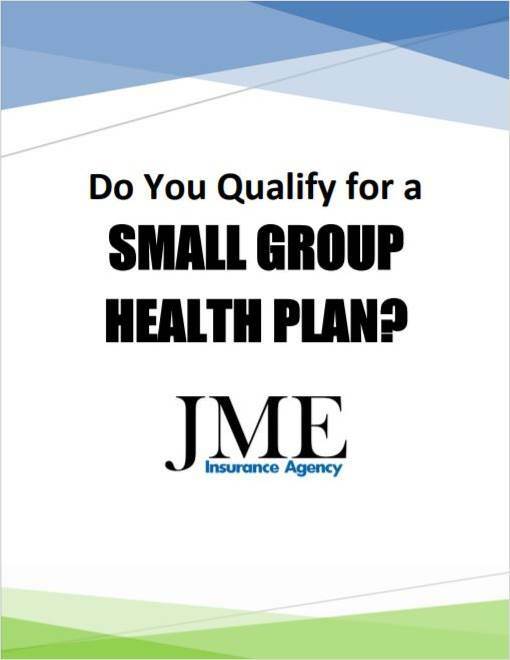 JME Insurance Agency can help you with all of your health insurance needs. Click the icons below for more information or give us a call at 972.245.0266. If you need assistance with a claim or another issue that will require us to access your private health information, please download and complete this HIPAA Authorization Form to help speed up the process. You should purchase a plan through the federal Marketplace (Healthcare.gov) if you qualify for financial assistance. If you don’t qualify for a premium tax credit, there are other options available outside the Marketplace. If you lose your group health coverage, you may be able to continue your current plan (at full price). If you have a qualifying event, you may be eligible for a special enrollment period. Healthy individuals can purchase short-term coverage at a much lower cost. If you have a side business, you may qualify for a small group plan, and you can start any month of the year. These include student health plans, supplemental coverage, limited benefit plans, and Health Care Sharing Ministries. Paperwork Requirements for a Small Group Health Plan – Do You Qualify? I've been a client of JME Insurance Agency for over 20 years. They excel at sourcing medical insurance, comparing and analyzing policies--something that's nearly impossible for individuals to do on our own because of how complicated polices have become. Their team also provides outstanding service. I'm so glad that a friend suggested I call JME all those years ago. Quite simply--they are the best! There are a number of different options available to individuals and families who need health coverage, but not every solution is available to all applicants. Ultimately, the reason you’re looking for health insurance will determine which of these options you should consider. For example, if you lose employer-sponsored insurance, you may be eligible to 1) extend your current group coverage and pay for it yourself, 2) sign up for a spouse’s plan, 3) purchase a policy in the individual market, or 4) take advantage of one of several other cost-saving options. You’ll have some of these same options if you have a qualifying event like marriage, birth, or adoption. On the other hand, if you were previously uninsured and have now developed a medical insurance, your coverage options may be a bit more limited. Below are a number of different scenarios along with the top options you may wish to consider. Everyone’s situation is different, though, so please contact our office at 972.245.0266 to talk with a licensed JME agent — we’re happy to help. If you lose employer-sponsored health insurance, you have a number of options available to you, including the option to continue your current health coverage, enroll in your spouse’s health insurance plan, or purchase a policy in the individual market. Depending on the reason you’re losing your group health coverage, you may be eligible for nine to 36 months of continuation coverage. This may or may not be your best option. The loss of coverage that gives you the continuation option also triggers a HIPAA special enrollment opportunity, which allows you to enroll in your spouse’s plan if he or she has employer-sponsored coverage, as well as a Marketplace special enrollment period, which allows you to purchase individual major medical coverage. In general, you should purchase a plan through the Marketplace (Healthcare.gov) if you qualify for a premium tax credit. If not, you should compare the costs and benefits of continuing your current coverage vs. enrolling in your spouse’s plan. If you will only be without coverage for a short period of time and would like to save some money, you might consider short-term coverage. You may also be eligible to set up a small group plan if you have a side business and file the appropriate tax forms. do not have a side business that would allow you to set up a small group plan. If you have a grandfathered individual plan and are losing coverage due to divorce or turning age 26, you can still keep the grandfathered coverage! We can work with you to have the carrier split the plan so you can have your own grandfathered policy. If you have a “qualifying event,” you may have a couple of special enrollment opportunities. 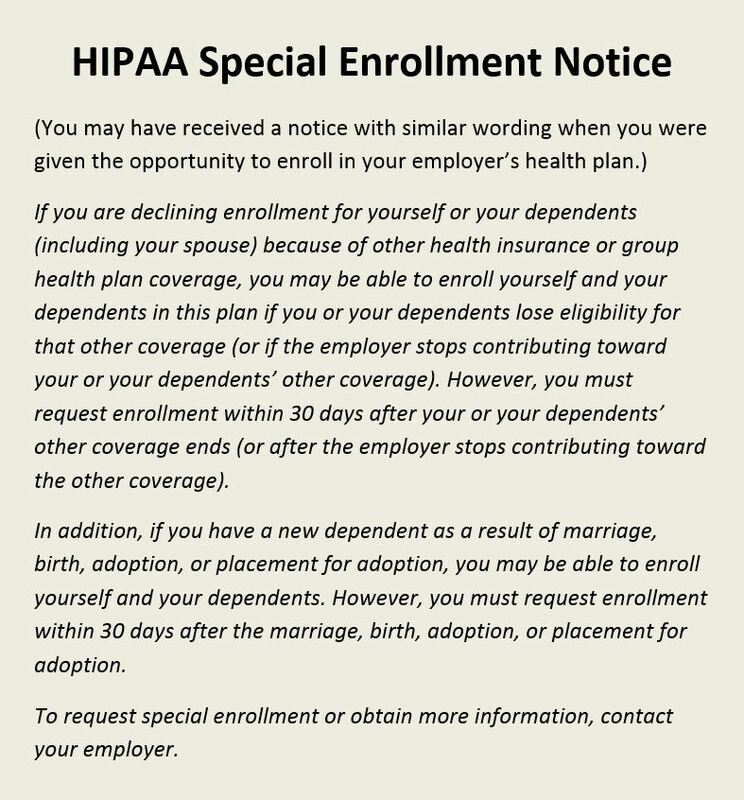 If you get married, have a child, or adopt a child, you have a special enrollment opportunity under HIPAA. This allows you to sign your spouse or new child up on the group health coverage through your employer or sign up for coverage under your spouse’s employer-sponsored health plan. In Texas, you have 30 to 31 days after the qualifying event to do this. Similarly, you have the opportunity to sign up for coverage in the individual market, either through the Marketplace (Healthcare.gov) or outside the Marketplace (off exchange). You have 60 days from the date of the qualifying event to purchase an individual policy. Usually, employer-sponsored coverage, if it’s available, will be the better option. Plans are often more comprehensive and may provide a broader network of providers than is available in the individual market. Additionally, group health premiums are often lower than individual health premiums, and the employer might be contributing to the cost of your coverage. If you do not have employer coverage available to you, you should consider an individual health plan. 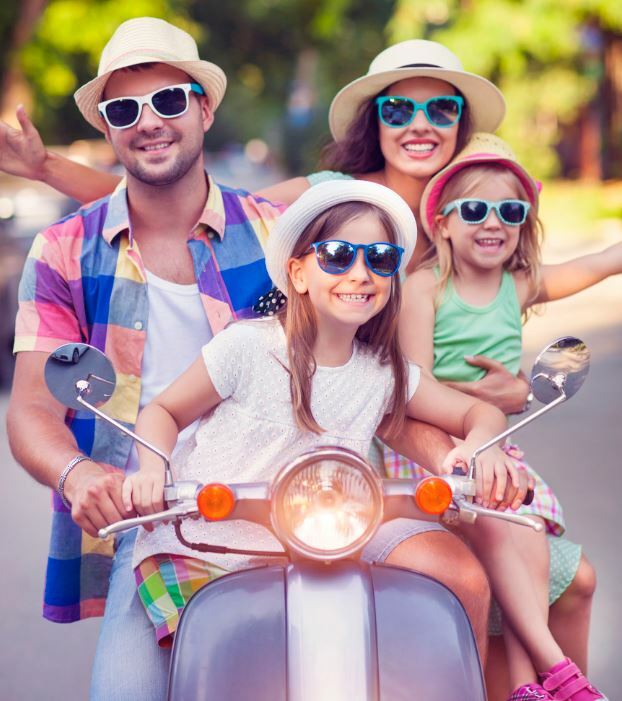 It is possible that the addition of a family member (a new spouse or a new child) could help you qualify for a premium tax credit if your income does not change as a result. Alternatively, adding a new spouse’s income to your income could disqualify you from a premium tax credit if you are already receiving financial assistance. If you are, you will need to notify the Marketplace about your change in status. If you have a small business (as a sole proprietor) and you get married, it’s possible you will qualify for group health coverage after you file your first federal income tax return. Joint filers who file a Schedule C with their tax return are considered co-owners of the business and therefore qualify for a small group plan. If you have individual major medical coverage and you move to a new area, you may find that your current health plan is no longer available or that there are new qualified health plans you might be interested in. Not to worry – you can purchase a new plan. Moving to a new area gives you a special enrollment opportunity in the individual market. The special enrollment opportunity lasts for 60 days and applies to both Marketplace plans (purchased through Healthcare.gov) and plans purchased outside the Marketplace (off exchange). The special enrollment period is only available to individuals who had minimum essential coverage for at least one day in the last 60 days. If you qualify for a premium tax credit, you should purchase a Marketplace plan. If you do not qualify for a premium tax credit, you should purchase a plan outside the Marketplace. However, you may want to consider some other options first. If you’re moving because you’re starting a new job, you may have employer-sponsored health coverage available through your new job. If so, that will likely be your best option. If you are self-employed and have a partner or an employee, you may qualify for a small group plan. 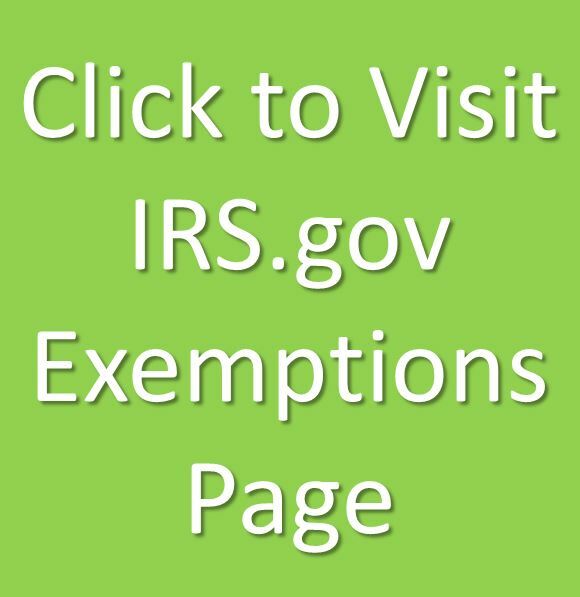 You may also qualify if you’re a sole proprietor, are married, and file a joint tax return. If you are relatively healthy, you could also consider short-term health coverage. While it is not guaranteed issue, does not cover pre-existing conditions, and does not satisfy the Affordable Care Act’s individual mandate, it does provide comprehensive coverage at a much lower price than an individual major medical policy. In general, a change in income that makes your current policy unaffordable will not qualify you for a special enrollment period. However, if a decrease in your household income would make you eligible for a premium tax credit, you may have an opportunity to purchase coverage through the Marketplace outside of the annual open enrollment period. 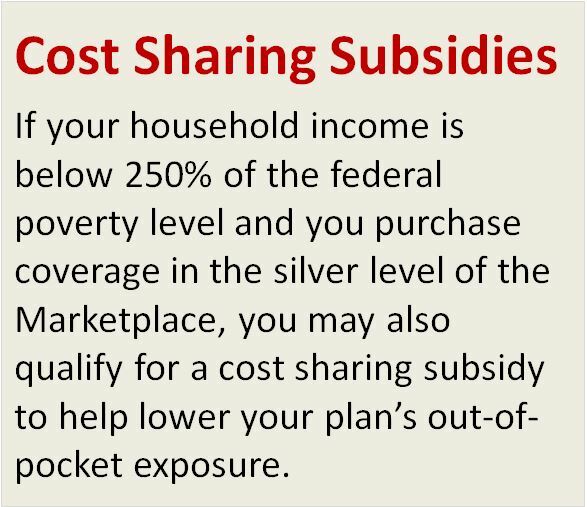 Similarly, if your income is in the “gap” between 100% and 133% of the Federal Poverty Level (FPL) and rises above 133% of the FPL, making you eligible for a premium tax credit, you could qualify for a special enrollment period and be able to sign up for coverage outside open enrollment. If you were previously ineligible for a premium tax credit but your income has recently changed, you should first check to see if you now qualify for a tax credit. If so, then you should probably purchase a Marketplace plan through Healthcare.gov. If you have not had a change in income, then you will not be able to purchase an individual major medical plan until open enrollment. If you are simply shopping for less expensive options, you might want to consider a short-term health plan. Short-term policies are not considered “minimum essential coverage” to avoid an individual mandate penalty, but they are considerably less expensive and often have lower cost sharing requirements than an individual health plan. If you have a side business and report the income or loss on your taxes, you may qualify for a small group health plan. Group policies are often less costly than individual health plans for comparable levels of coverage. If you do not own a small business, you might consider taking a college course and take advantage of the student health plans offered by many colleges and universities. Sometimes part-time students taking online courses are even eligible for a student plan. Though we wouldn’t necessarily recommend any of these options, there are some other solutions that you may want to consider. Limited benefit plans and supplemental products like critical illness policies and accident plans, while not comprehensive in nature, do provide some financial protection to help offset your medical costs. Similarly, joining a Health Care Sharing Ministry, while it is not insurance, does help pay some of your medical bills and also provides an exemption from the individual mandate penalty. Unfortunately, developing a medical condition does not create a qualifying event that allows you to sign up for health coverage. The Affordable Care Act does make health insurance “guaranteed issue” for anyone who wants health insurance, and the individual mandate is intended to encourage people to sign up for coverage before they get sick, but you cannot simply sign up for coverage anytime you want. If you don’t currently have health insurance, you’ll need to wait until the next open enrollment period to purchase a major medical policy. In the individual market, this will be November 1 – December 15. Until open enrollment, your options may be limited. You will not qualify for an individual policy, a short term plan does not cover pre-existing conditions, and developing a medical condition does not give you a special enrollment opportunity for your company’s health plan or a spouse’s plan. If you own a small business and you file the correct tax forms, you may be able to set up a group health plan, and you can do that any month of the year. Small group policies do not ask you any medical questions and do cover pre-existing conditions. Open enrollment is the time each year when you can purchase coverage in the individual market on a guaranteed-issue basis. This means that the insurance company cannot ask medical questions or turn you down for a pre-existing condition. Save the Date! Open enrollment is November 1 – December 15. This is the time of the year that you can purchase a Marketplace plan through Healthcare.gov or an “off exchange” plan outside of the Marketplace. While open enrollment gives you the opportunity to purchase an individual major medical policy with no health questions, this may or may not be your best option. If you qualify for a premium tax credit, you should certainly consider purchasing a plan through the Marketplace during the open enrollment period. If you do not qualify for a premium tax credit but you have a pre-existing medical condition, you should consider an off-exchange plan during the open enrollment period. If you are healthy and are looking for more affordable coverage, a short-term plan may be a better option for you. The federal government is expected to expand the length of short-term plans to one year, and they do provide comprehensive coverage at an affordable price. Because these policies do not cover preventive care or pre-existing conditions, they are not considered minimum essential coverage to help you avoid an individual mandate penalty, but the penalty is going away in 2019 and should not be a factor in your decision during this year’s open enrollment period. If you own a small business, even a side business, you might qualify for group health coverage. Employer-sponsored plans are often less expensive than individual major medical policies, cover pre-existing conditions, and can begin any month of the year. If you are a student, or if you want to take a college course, you might qualify for a student health plan. These policies are often much less expensive than an individual health plan. Below are a number of coverage options you may wish to consider. Not every option will work for every situation. Some are only available if you lose your existing employer-sponsored coverage; some are available if you own a small business; and some are best for individuals who are healthy or whose income is below a certain level. To review our top suggestions based on your specific situation, start by telling us why you’re shopping for health insurance. The “Marketplace” is another term for Healthcare.gov, the federal exchange that was created by the Affordable Care Act. Our recommendation is that you purchase Marketplace coverage IF you qualify for a premium tax credit. If not, you should purchase coverage “off exchange,” or outside the Marketplace, or you should consider another coverage option. To qualify for a premium tax credit to help pay your monthly health insurance premium, you must have an annual household income below 400% of the federal poverty level and cannot have access to other affordable minimum essential coverage, like an employer-sponsored health plan or a government program. The federal marketplace was originally called the Exchange. If you don’t qualify for a premium tax credit, you should look at “off exchange” plans – there are additional options, and the application process is much easier. If you cannot continue your current coverage and your spouse does not have employer-sponsored coverage, you may want to consider an individual health plan. This is especially true if you qualify for a premium tax credit. Maybe link to marketplace notice. For coverage in the individual market, we recommend Blue Cross Blue Shield of Texas. BCBSTX is the largest individual insurer in the state, and, of the insurance carriers we represent, they have the lowest rates. Keep in mind that the open enrollment period begins November 1, so if you don’t qualify for a special enrollment period, you may want to consider the other options on this page. Before applying for coverage through Blue Cross Blue Shield, you’ll want to make sure your doctors and hospitals participate in their provider network. All BCBSTX individual plans use the Blue Advantage HMO network, which is actually pretty good because it includes a number of large hospital chains and their associated physicians, including Texas Health Resources and Baylor Scott & White. Except for emergencies, no coverage outside of the contracted provider network. We also offer coverage through Baylor Scott & White, but you will have to call our office at 972.245.0266 for a BSW quote. Currently, BCBSTX is more competitive in most cases. For most people, the best option, if it’s available, is to continue their current employer-based health coverage under COBRA or Texas State Continuation. 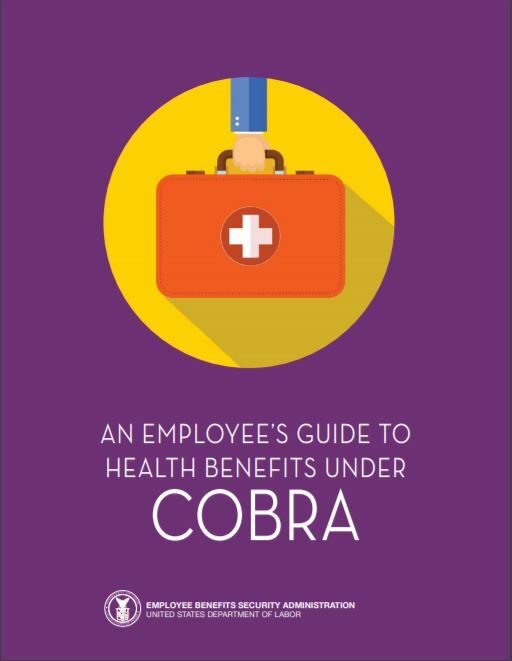 If you work for an employer with 20 or more employees, you should be eligible for COBRA and will have the opportunity to continue your current coverage for at least 18 months (for dependents, the coverage period can be up to 36 months in certain situations). If your company has less than 20 employees, you may qualify for Texas State Continuation, which will allow you to extend your current policy for 9 months. Group coverage is often less expensive than comparable individual plans. There are not a lot of options in the individual markets. In the DFW area, for instance, there are only three or four insurers offering individual health coverage, and only a couple that we would recommend. In the individual market in Texas, there are no PPO options. If you currently have a PPO through your employer or former employer, you may want to keep it if you can. You have 60 days from the loss of coverage to sign up for COBRA or state continuation, and when you make the decision you have to pay premiums back to the day you lost coverage, so you’ll want to be sure to sign up quickly. Another option for people losing health insurance coverage or people who have certain qualifying life events is a special enrollment onto their spouse’s group health plan. Group health plans are required to provide special enrollment periods during which individuals who previously declined health coverage for themselves and their dependents may be allowed to enroll (regardless of any open enrollment period). In addition to HIPAA special enrollment rights, the Children’s Health Insurance Program Reauthorization Act (CHIPRA) added additional special enrollment rights under ERISA. Rights related to CHIPRA special enrollment are discussed in this section. An individual loses coverage under a State Children’s Health Insurance Program (CHIP) or Medicaid, or becomes eligible to receive premium assistance under those programs for group health plan coverage. Employees, as well as their spouses and dependents, may have special enrollment rights after a marriage, birth, adoption, or placement for adoption. In addition, new spouses and new dependents of retirees in a group health plan also may have special enrollment rights after these events. The plan has to provide at least 30 days for the employee or dependents to request coverage after the occurrence of one of these events. If the event was a marriage, the coverage is required to be effective no later than the first day of the first calendar month beginning after the date the completed request for enrollment is received by the plan. In the case of birth, adoption, or placement for adoption, coverage is required to be effective no later than the date of the event. Are not guaranteed-issue; you must answer a few medical questions when applying, and your application can be declined. Do not cover pre-existing conditions. Do not cover preventive care. Have an annual and lifetime cap on the amount they will pay. Are not considered “minimum essential coverage.” They do not satisfy your coverage requirements under the ACA’s individual mandate. Still, there are some big advantages to short-term plans, and short-term coverage may soon become a much better option. That’s because, with the elimination of the individual mandate penalty in 2019, healthy individuals who purchase a short-term plan for themselves and their family members do not have to worry about also paying a tax penalty. Also, the federal government recently released rules that increase the maximum duration of short-term coverage from the current 3 months to almost 12 months (364 days). What this means is that healthy people can purchase short-term coverage effective January 1 with a term of 12 months. If they remain healthy during that 12-month term, they can simply renew their coverage for the next year. If they develop a medical condition during that 12-month period, they can sign up for major medical coverage in the individual market during the ACA’s annual open enrollment period, November 1 – December 15. Do you have a small business? Even a side business? If so, you may qualify for a group health plan. The premiums are currently lower than in the individual market. That doesn’t mean they’re low, but they are LOWER for comparable levels of coverage. You have the option of a PPO plan. That’s something that’s difficult to find in the individual market in the state of Texas. You can enroll anytime – small group isn’t limited to a six-week open enrollment period at the end of the year like individual health plans are. Your plan can start on the 1st or 15th of any month. If you do own a small business, you may be thinking that you don’t qualify because you’re a sole proprietor or because there would only be one person enrolled. Not so fast! The rules have changed, so it’s now easier to sign up for small group coverage than it ever has been before, at least with some insurance companies. There’s no longer a requirement that two people enroll, for example. If you have two employees (or two owners), you might still be able to purchase small group coverage even if only one person needs it. And if you’re a sole proprietor and are married, your spouse is actually considered a co-owner if you file a Schedule C on a joint return, which means you can buy a group plan even if you don’t have any employees. Each insurance company has slightly different documentation requirements, and the required paperwork varies depending on the business format. Download our white paper for more information. If all else fails, you might consider enrolling in a class at a local college that offers student health insurance. Some schools will even let you sign up if you’re taking a single online class. You might learn something, get great coverage, and save some money – not a bad deal! We’ve provided links to a few student health insurance programs in the North Texas area to give you an idea of coverage and cost. Occasionally we get questions about purchasing accident and critical illness insurance in lieu of major medical insurance. We would advise against that. While we do sell supplemental products, they are intended, as the name implies, to supplement a health insurance plan, not to replace it. Supplemental policies are helpful in paying a portion of the out-of-pocket expenses on a health plan or paying other bills that are not covered by health insurance when you’re out of work due to an illness or injury. 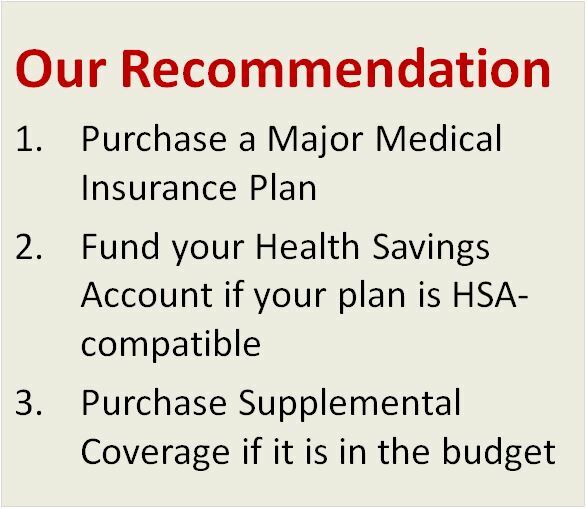 Our recommendation is first to purchase a health insurance plan, then to fund your Health Savings Account if your plan is HSA-compatible, and then to purchase supplemental coverage if your budget will allow it. Supplemental insurance should never be your primary coverage. As health insurance premiums continue to increase, you may see ads or get phone calls about very inexpensive health insurance plans. Like with most things in life, if it sounds too good to be true, it probably is. They are not considered minimum essential coverage and will not protect you from the individual mandate penalty. They do not provide comprehensive coverage in the case of a big medical claim. 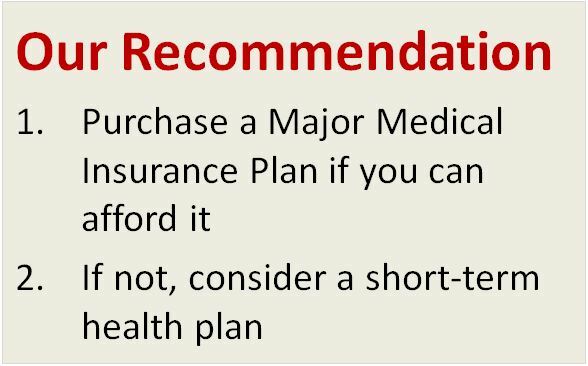 We recommend major medical coverage instead, or, if you’re looking to save some money and are not concerned about a possible penalty, we believe a short-term health plan would be a better option. In an effort to get some protection against high medical costs and avoid a penalty under the individual mandate, some people join a Health Care Sharing Ministry. A Health Care Sharing Ministry is not health insurance coverage, and for that reason JME has decided not to recommend this solution. Still, joining a Health Care Sharing Ministry does provide an exemption from the ACA’s individual mandate, which is still in effect for 2018 but disappears in 2019. 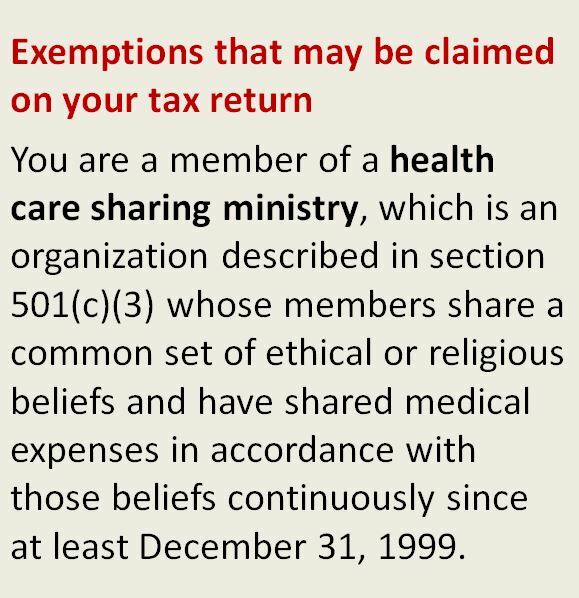 To join a Health Care Sharing Ministry, you will likely need to answer some medical questions and be able to attest to certain religious beliefs. Two of the more well-known Health Care Sharing Ministries are Medi-Share and Liberty HealthShare.